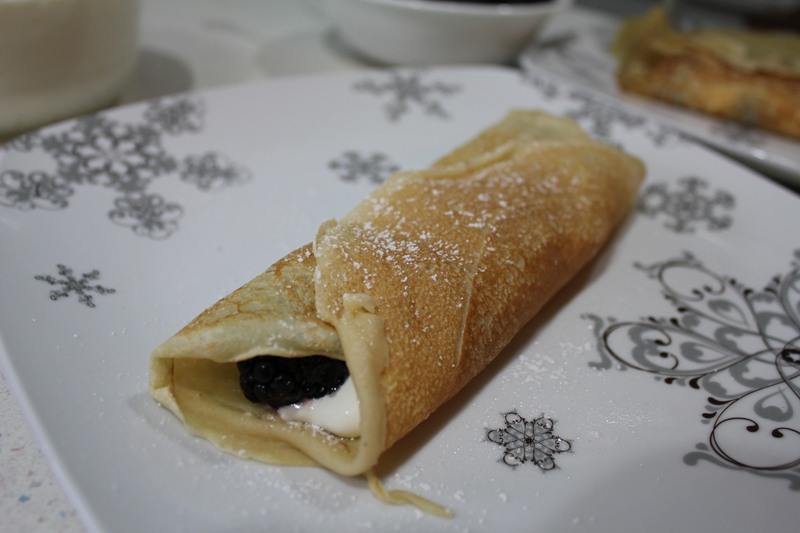 On special occasions or the rare days when Captain Cavedweller and I can enjoy a leisurely breakfast, I like to make crepes. Our favorite filling is fresh fruit with whipped cream. Captain Cavedweller loves bananas while I tend to favor berries. 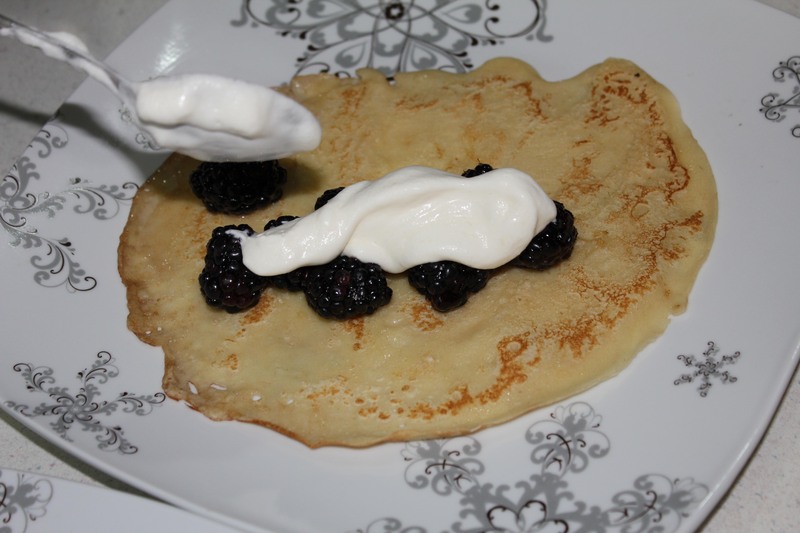 I’ve had this recipe for crepes since I was in the seventh grade. Our teacher decided to give us all some culture and let each of us a select a country to study up on and do a presentation complete with props. While I got stuck with India (when you are next to the last to get to choose, there aren’t a lot of countries left! ), one of the girls choose France. Her mother brought in a hot plate and helped her make crepes for the class. They were delightfully wonderful and so different from anything I’d eaten. When she passed out copies of the recipe, I immediately went home and begged my mom to let me make them. She did and I’ve been making them sense. 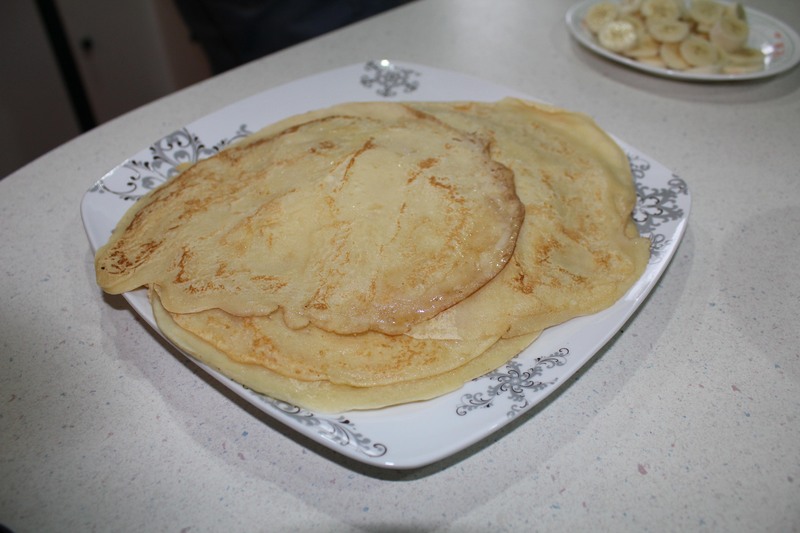 Although my dad always called these flat pancakes, Captain Cavedweller does enjoy them! These are light and delicious – just right for a morning brunch before a big holiday meal! 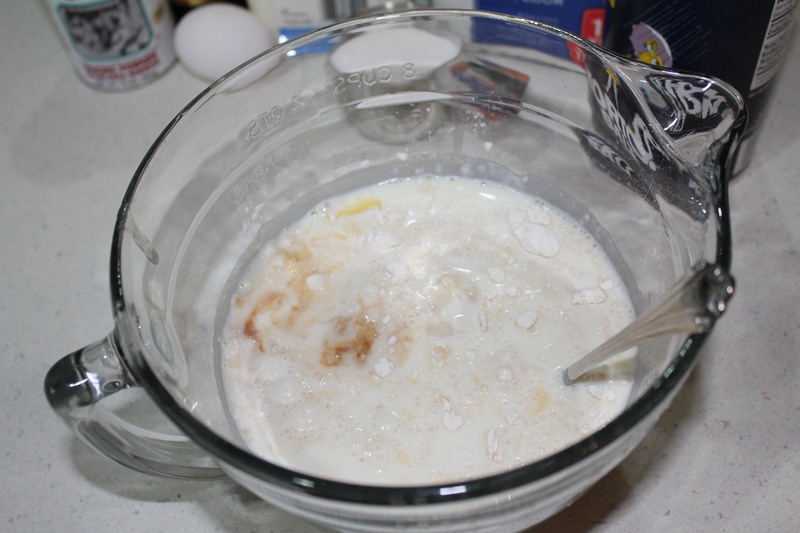 Mix the ingredients until it is smooth and there are no visible lumps. Cook in a hot pan, lightly oiled. It just takes a minute or so for each side. You want each side to be a nice golden brown. Combine dry ingredients and set aside. Beat eggs until broken down. 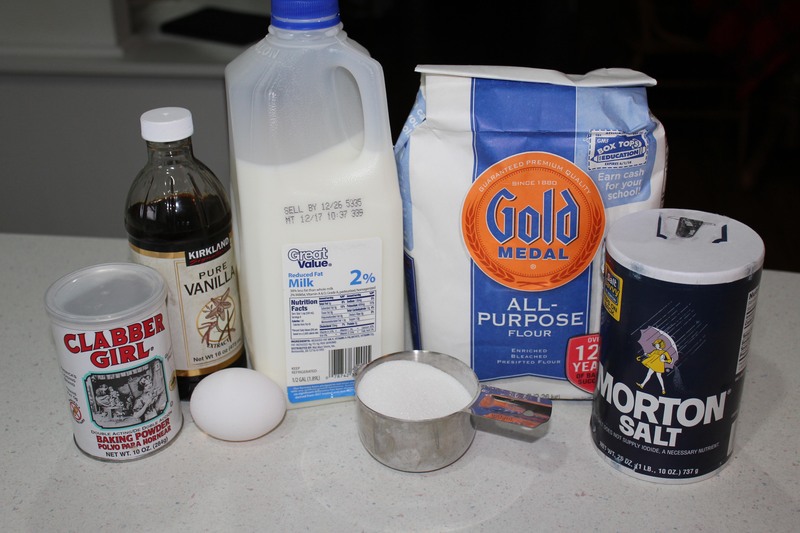 Add milk and vanilla extract and beat well. Beat in flour mixture until mixed then add in melted butter. 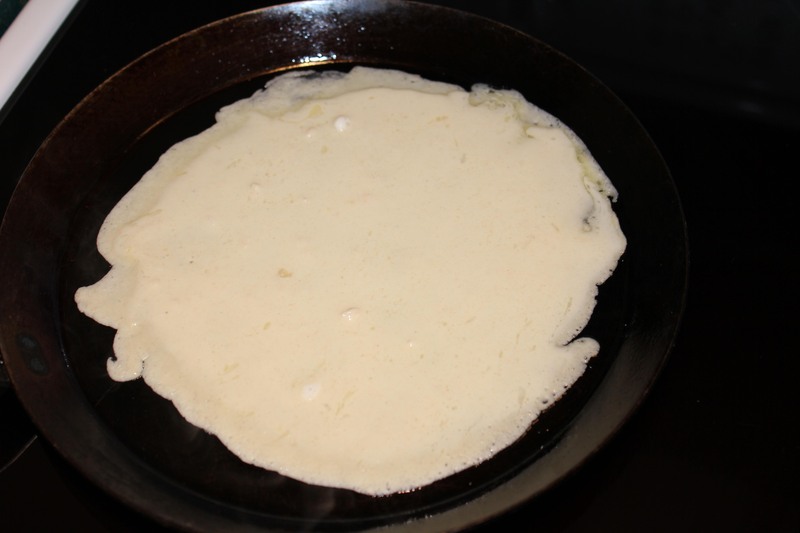 Lightly oil a hot griddle, frying pan or (if you have one) a crepe pan. Pour about two tablespoons of batter in the pan and thin it out by swirling the pan around. Tip and rotate until the batter is as thin as possible. Cook until each side is a light, golden brown. Fill with fruit and whipped cream and roll. Top with a dusting of powdered sugar and enjoy!